Bonded different-type materials created using new production methods in the pursuit of high performance and high functionality. 9 different types of material are bonded together using a high quality adhesives technology. Bonded ceramic and metal sample made transparent by polishing. “Is there any way to make this part last longer?” About 15 years ago, a customer asked Kenji Kishida, the former president of MITEC Co., Ltd., “If you were to attach ceramics, which are harder than metals, to the parts that wear down, wouldn’t that improve their resistance to wear?” So, Kenji Kishida began to explore technology to bind metal and ceramics. However, since the materials are so different, commercially available adhesives for binding them together were unsatisfactory. Because of this, he began his project of developing adhesives. Working with numerous manufacturers, they tested a variety of compositions, continuing development while sometimes suggesting materials themselves, and arrived at the best adhesive. Currently, they have come up with more than 10 adhesives with a variety of applications depending upon how the part is used, such as exposure to chemicals or high temperatures. They have also come up with over 10 varieties of the ceramics themselves, such as zirconia, silicon carbide, and transparent ceramics, so that the ideal ceramic can be used for each part, whether it needs to be very thermally or electrically conductive, transparent, etc. The number one benefit of using this adhesive technology is extending the life of parts. Parts that had their life extended with heat treatments and surface treatments can now, through the use of ceramics, have their lives extended by 10 times or more. Extending the life of parts results in fewer part replacements and a reduction in running costs. There are many other benefits as well. Ceramics are also good for insulation, magnetism, and dust. Furthermore, by constructing the non-ceramic portions of the part out of aluminum, weight is reduced. 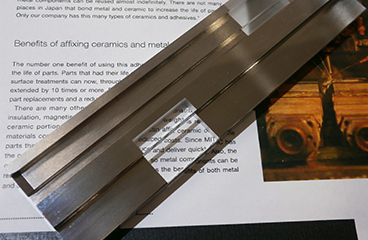 The materials cost more than metal, but MITEC can affix ceramic only to the parts that need to be ceramic, enabling reduced costs. 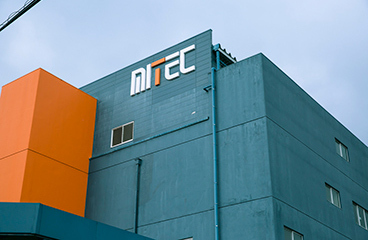 Since MITEC has the ceramic materials in-house, it can produce and deliver quickly. Also, the ceramic parts can be reground or reattached, so metal components can be reused almost indefinitely. MITEC truly combines the benefits of both metal and ceramic. Our technology is made possible by detailed meetings and the on-site staff’s micron-scale precision work. “For new customers, we first visit them on-site and bring back the parts that they can no longer use due to wear and that they were planning to throw away. We affix ceramic to the worn parts, have them actually use the parts, and let them understand our technology,” Koji Kishida. Parts that were going to be thrown away have their metal parts scraped away and replaced with high-strength ceramic for reuse. This is a big surprise to clients when they see it. 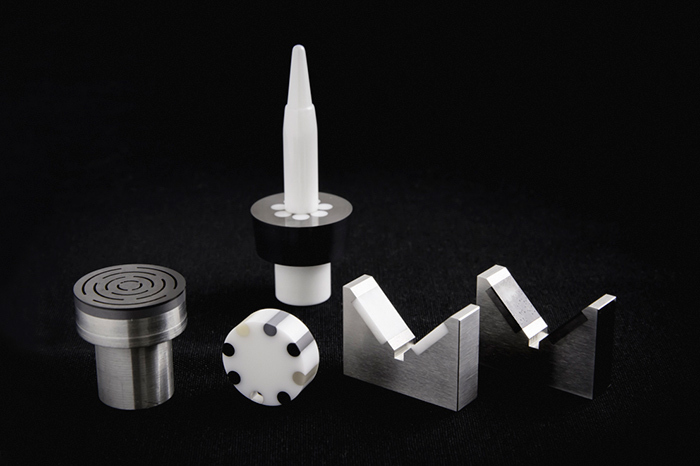 “We are confident in our metal processing, and thoroughly perform ceramic adhesion by hand. 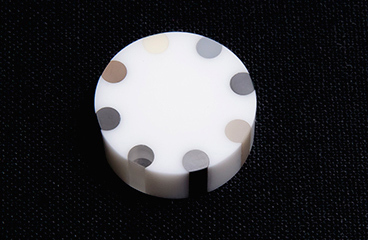 We do the polishing work after affixing the ceramic, so the finish is smooth. It is not an exaggeration to say that the ceramic becomes fully integrated with the metal,” Kishida said proudly. In these meetings, we discuss in detail the environment that the part will be used in and the extent of its wear. Then we suggest the location, shape, and size of the ceramic components so that only the minimal amount of ceramic needs to be used. Our strength is that we can make the metal parts together with the ceramic parts. We do not need diagrams. “We are happy to give advice, no matter what the shape. Just send us the parts that you can no longer use due to wear. We will refurbish them and return them to you, so please try them and tell us how we did.” Mr. Kishida’s words show his confidence in the technology that has been developed over many years. Also, it is the young staff, whose average age is in the low 30s, who make this technology possible. 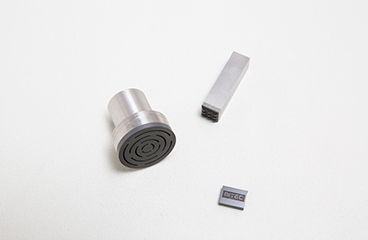 We are able to produce parts from 0.5 mm to 600 mm. We make parts in lots as small as one, doing multi-part small lot production. Each staff member works with small parts on a micron-precision basis. Mitec exhibited at “COMPAMED 2014,” an exhibition held last year in November in Düsseldorf, Germany. There, they exhibited their ceramic adhesive technology at the world’s number one large trade fair for medical equipment and products. 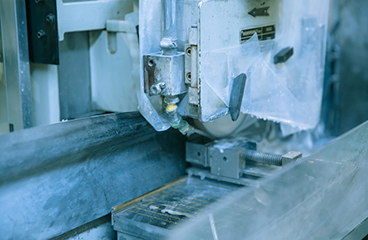 “People abroad were not very familiar with the idea of affixing ceramics to metal to increase part life, but they were very interested in our company’s technology that enables reduced running costs, increased precision, and recycling of metal parts. Seeing the magnitude of their response, I was assured that this technology will be used not only in Japan but worldwide in the future. I want to continue promoting this technology abroad,” said Kishida enthusiastically. We will keep promoting this one-of-a-kind technology that can be used in a variety of industries, such as the automotive industry, the electronics industry, and the energy industry around the world.